3D Touch has been a mainstay of the iPhone range ever since the iPhone 6S and iPhone 6S Plus, allowing easy access to certain features of your apps from your home screen, but an analyst has claimed the feature will disappear in 2019. According to Barclay's analyst Blayne Curtis in a research note obtained by MacRumors, Apple may be dropping 3D Touch for all the new iPhone models it's set to release in 2019. The analyst has recently been visiting parts of Apple's supply chain in Asia and found information that all the models would lose 3D Touch. We've previously heard a rumor from analyst Ming-Chi Kuo that one of this year's iPhones isn't capable of the feature. That rumor suggests the 6.1-inch LCD device has an extra layer of film in the display that means the company isn't able to include 3D Touch. 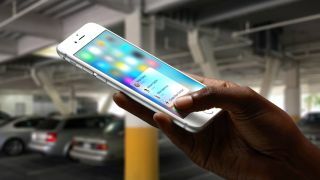 We're still expecting to see a 5.8-inch and 6.5-inch iPhone this year that will sport 3D Touch. The information from analyst Blayne Curtis suggests all iPhone models launched in 2019 will drop the feature, so it may be we soon lose all access to the 3D Touch feature. The screen tech allows you to 'peek' into apps by pushing down slightly harder on the display than your normal tap, and that way you can access shortcuts for some of the features within apps. If you've been using iPhones for a while, it may take some getting used to if you then have a device without 3D Touch. We hope to learn whether the feature will be dropped on one of this year's iPhones when the new products are announced, which may happen as soon as September.